Editor's note: This interview is the 12th in a series that will focus on contemporary Puerto Rican authors. To read the previous interview with Jennifer Maritza McCauley, click here. Rosalie Morales Kearns, daughter of a Puerto Rican mother and Euro-American father, was born in Pennsylvania. Her novel Kingdom of Women (Jaded Ibis, 2017) was a National Latino Book Club selection and was praised by Kirkus Reviews as “a daring critique of today’s patriarchy” and “a bold, politically minded tale with a spiritual soul.” She’s also the author of the magic-realist story collection Virgins & Tricksters (Aqueous, 2012) and editor of the short story anthology The Female Complaint: Tales of Unruly Women, described by Kirkus Reviews as a “vital contribution to contemporary literature.” In addition, she’s the founder of the feminist publishing house Shade Mountain Press. Follow her on Twitter @RMoralesKearns. Ivelisse Rodriguez (IR): The premise of Kingdom of Women  is so interesting. The title itself reveals what is created in your book. There is also a religious play in the title—the kingdom of heaven. The two themes of feminism and Christianity are intertwined in your novel—can you discuss the intersection of these two in your work? Rosalie Morales Kearns (RMK): Religion is definitely a recurring theme. In my story collection Virgins & Tricksters, nine of the twelve stories feature some aspect relating to religion—mostly Catholicism. One story, “The Priest’s Wife,” is written mostly as a character’s monologue addressed to the Virgin Mary. In “Devil Take the Hindmost,” a character winds up in a paradise presided over by a devil-like figure. In “The Associated Virgins,” statues of Mary keep popping up all over the house of a man who had been completely uninterested in religion. And of course in my novel, the main character is a female Roman Catholic priest. The thing about Christianity is that it has a deity who sides with the oppressed, but a church hierarchy that historically has sided with the oppressor. So any movement for justice—not just feminism but also anti-racism, anti-capitalism—is going to be a challenge to Christianity. Many, many scholars and activists have written much more thoughtfully and eloquently than I ever could about the feminist challenge to the misogyny of the church. Writing fiction is my way of thinking through these questions. So I end up imagining characters who talk to God or talk to Mary. I imagine characters who turn their back on God or who have never had any interest in religion. I imagine what it’s like to be a female priest in a church whose institutional history has been utterly hostile to women. And I bear in mind that there’s the institutional church and there’s the lived experience of ordinary Catholics. And it’s in the lived experience that we’re more likely to see affirmations of women’s value and wisdom. 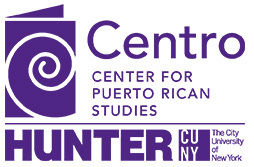 IR: Much of Puerto Rican literature from the continental U.S. tells the story of Puerto Ricans in New York. And there is a particular story—of coming to the cold of New York, living in tenements, building community, etc. What’s the story of a half Puerto Rican half Pennsylvania Dutch person? RMK: Often I just say I’m half-Puerto Rican and half Euro-American. The Euro-American half is a combination of Pennsylvania Dutch (a type of German) and Scots. My mom was from Puerto Rico, and we visited there often and spent time with cousins and aunts and uncles and grandparents, but we lived in Pennsylvania, where my dad’s family goes back six or seven generations. It definitely gave me an outsider/insider perspective. As a child, I always had a double perspective of feeling at home and yet being aware that there are other ways to live, other ways to be, a sense that there’s a world out there beyond this familiar place. So yes, the story of a half Puerto Rican is worth telling. The thing is, I never picture characters who have that particular background, and when I consciously try to impose it on a character, I feel like I’m getting uncomfortably autobiographical. Memoir and autobiographical fiction aren’t for me. I find other people much more interesting. IR: While you have some Puerto Rican characters in your books, many are not, including the protagonist of your novel. Do you think that “ethnic literature” necessitates protagonists of color? RMK: As we know, writers of color are grossly underrepresented in U.S. publishing. What’s important and exciting about “ethnic literature” is that it gives us a chance to hear from them, [with] whatever they want to write about. That includes complex and nuanced portraits of people of color. But those same authors can also turn their gaze on white characters, including white protagonists, and that’s fascinating too. IR: Your novel Kingdom of Women takes place in a presumed future, and your short story collection Virgins & Tricksters  has many stories that take place in the past. Can you discuss your relationship to the present? Or why do you prefer to tell your stories in the past or the future? RMK: I’ve never thought of it that way, but you’re right. Half of the stories in my collection are set in the present, but Kingdom of Womenis set in the future, and the novel I’m drafting right now is set in the early twentieth century. Maybe it’s part of my reluctance to write autobiographically. Also, I’m drawn to the creative challenge of imagining the lives and mindsets of people in circumstances and surroundings different from mine. IR: You started Shade Mountain Press, a feminist press, in 2014. Since then, you have published eight books. What are your goals for the future of the press? RMK: This is only the press’s fifth year of existence, but our titles have already been named to NPR’s Best Books of the Year, and have been winners and finalists for the International Latino Book Award, the Thurber Prize, and Indiefab. Right now, the plan is to continue publishing one title a year, so I can concentrate on each book, giving it the attention it needs in terms of editing and marketing. We’ve been lucky enough to obtain financial sponsorship through Fractured Atlas, which allows the press to receive tax-deductible donations, and we’ve been awarded a two-year grant from the New York State Council on the Arts. Our next title, the brilliant novel Tonic and Balmby Stephanie Allen, is coming out in February 2019. That book and our 2018 title, the haunting, gorgeous novel The House of Erzulieby Kirsten Imani Kasai, were the results of our submissions call for work by African-American women. Our most recent submissions call was for novel or story collection manuscripts by deaf and/or disabled women. I’m thrilled with the work we’re releasing. And I’m more than happy to give advice to other writers looking to start a small press. There are a lot of brilliant manuscripts out there being ignored by mainstream publishers. © Ivelisse Rodríguez. Published by permission in Centro Voices 14 January 2019.